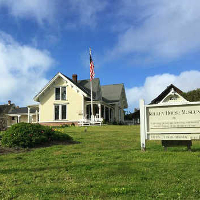 On Sunday July 31st, at 3 p.m. the Kelley House Museum will present a reprise of Bruce Levene’s digital scrapbook of music, photographs, graphics, spoken voice and poetry from Mendocino in the 1970s. The revised two hour presentation, now titled “Good Hope,” contains works by 25 musicians, 6 poets, 5 interview excerpts, 6 Mendocino News Service/KMFB excerpts, 17 known photographers and artists plus numerous graphics. Due to the presentation’s length, the program will begin at 3:00 p.m. (instead of the usual 4:00 p.m.), with a 10 minute intermission. 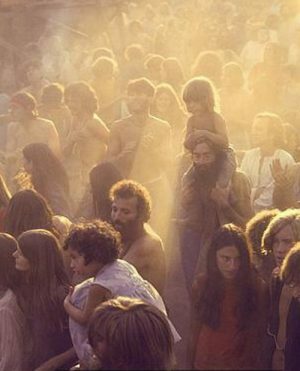 Levene first presented a shorter version of this program in October 2015, in conjunction with the Kelley House exhibit on Hippies. The program sold out. He expanded the video and presented it again in November, again to a sold-out house. He has continued to revise and expand the presentation. According to Levene, this will be the last public showing. Groove with the likes of Cat Mother, Skyhook, Dirty Legs, the McGarrigle Sisters, Gene Parsons, Lynn Kiesewetter, Philo Hayward and The Legendary Wolf. Listen to the poems of Sharon Doubiago, Bob Greenwood, Bill Bradd and Barbara Door Mullen. Recall the artistry and photography of John Chamberlin, Sharon Baranofsky, Laurel Moss, Nicholas Wilson and Tom Cahill. And listen to the spoken words of Larry Grant, Eleanor Cooney, Byrd Baker, Late Night Liz and others. The first two showings of this video were sold out and this will be the last public viewing offered. Members of the Kelley House Museum pay $5; non-members pay $7.